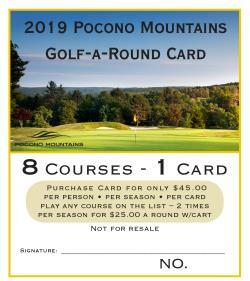 Purchase a 2019 Golf-A-Round card for only $45.00 per person, per season, per card. 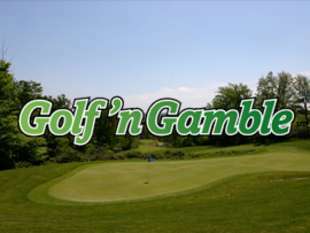 Play twice at each of the 8 golf courses listed below for just $25 per round with cart. Valid after 2pm on Sunday&apos;s only and all day Monday-Friday, excluding holidays. Valid for cardholder only. Tee time can be made three days in advance. You must call for tee times and mention this card. Tee times are subject to availability. Not valid with any other offer or tournament play. Card is non-transferable and can be purchased online or at our office on Main Street in Stroudsburg. Golf-A-Round cards can also be purchased at participating golf courses. Buy a Golf-A-Round Card to use this golf season! Only $45!